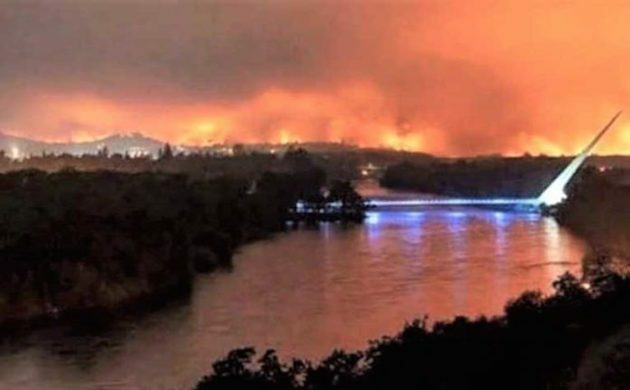 The photo above shows the beginning of the Carr Fire east of Redding with the Sundial Bridge in the foreground. This is about 35 miles West of my home. 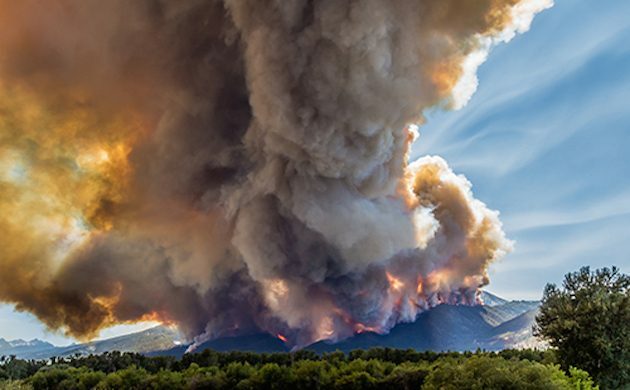 According to a Proceedings of the National Academy of Sciences study, human-induced climate change has doubled the area affected by forest fires in the western U.S. over the last 30 years. 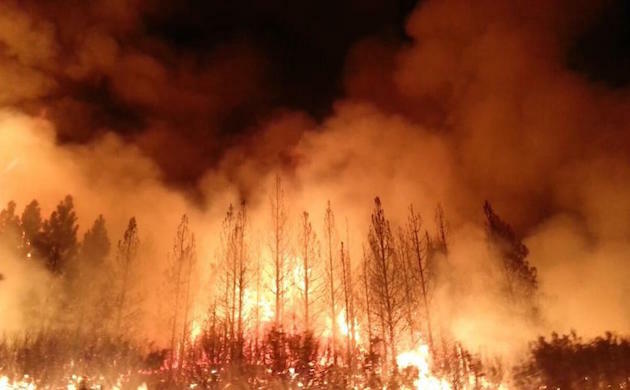 According to the study, since 1984 heightened temperatures and resulting aridity have caused fires to spread across an additional 16,000 square miles than they otherwise would have—an area larger than the states of Massachusetts and Connecticut combined1. Fires in western forests began increasing abruptly in the 1980s, as measured by area burned, the number of large fires, and length of the fire season. Click on graph for large sized image. 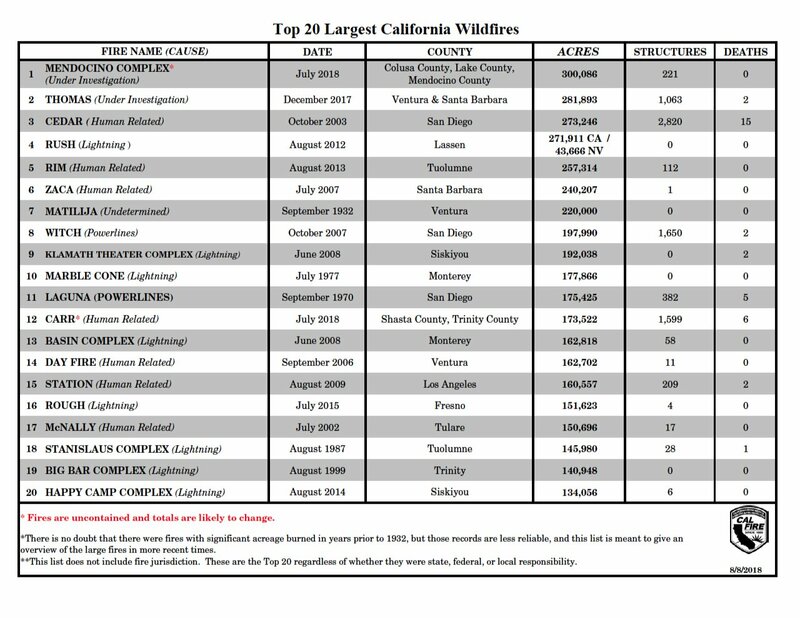 Wildfires are unplanned and very damaging fires, nine out of ten carelessly started by people. If a wildfire starts in the dry season, it can burn extremely hot and destroy all vegetation for miles. Once the rains begin, the destruction from the fire also causes soil erosion which degrades stream water quality, and mudslides which cause more environmental damage. So what do these facts mean for our wildlife? Some animals are injured and killed by wildfires. 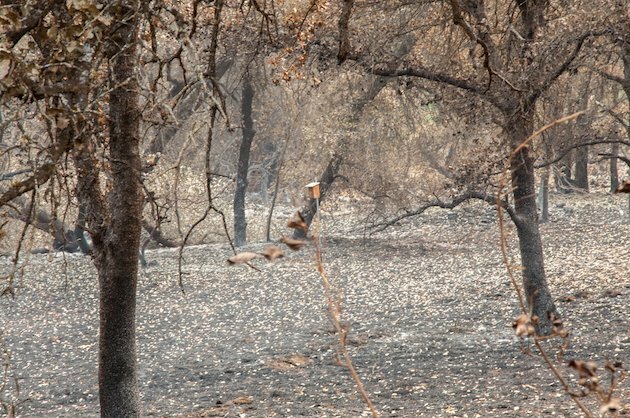 While larger animals like deer and elk are usually able to escape the fire’s path, smaller animals like squirrels, foxes and snakes are not always so lucky. Birds are able to fly away, but their nests and eggs can be destroyed. Fire can also cause wildlife to be burned, dehydrated and malnourished. In the months after a fire, wildlife populations can suffer substantial losses due to habitat alteration and destruction. Since their habitat has been destroyed, wildlife become displaced and must spend more time searching for food, water and shelter. 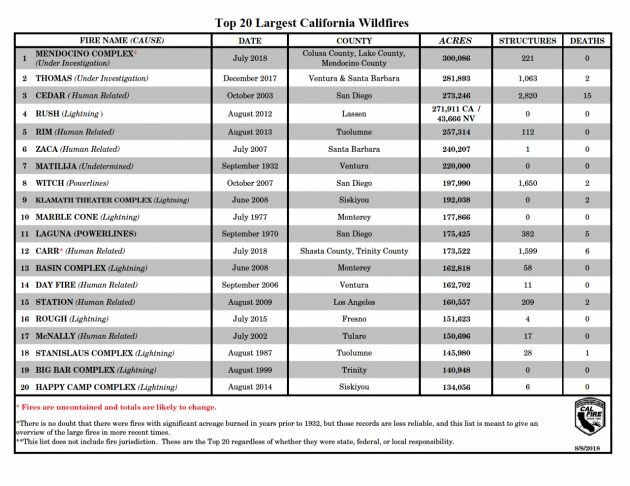 Displaced wildlife may travel to areas not affected by the fire, which puts stress on the displaced wildlife, as well as the wildlife that was already there, due to increased competition for available food, water and shelter. 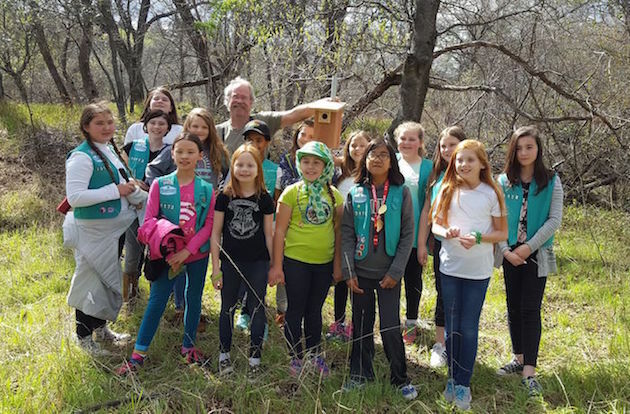 This past March I helped a Girl Scout troupe build and install 15 Bluebird nest boxes on the Sacramento River Trail. Here’s a photo of the troupe and myself after the install. The Carr Fire jumped the Sacramento River within a few days after it began, at the very location we had installed the nestboxes. I went back yesterday to see the devastated area where the fire jumped the river and destroyed several homes. The river trail was closed, the entrance being fenced off with keep out signs. I was able to visualize six of the bird houses that survived. Here is what the area looks like now. The article goes on to mention that fires are not all bad. 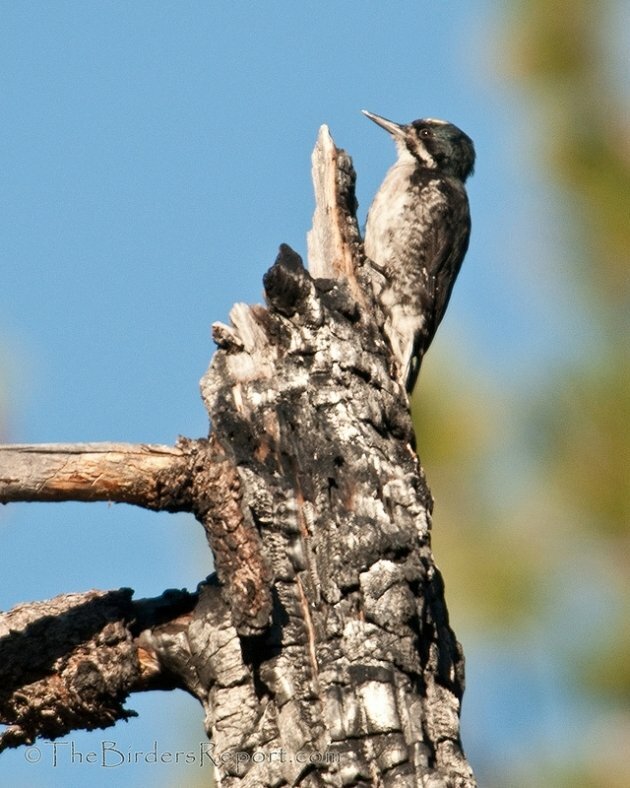 Vicki states that fire benefits several bird species, like the Black-backed Woodpecker which feeds off the bark and wood-boring beetles that lay eggs in the charred trees. This was the case in the 23,958 acre Reading Fire that burned in Lassen Volcanic National Park in 2012 where I photographed this Black-backed Woodpecker. 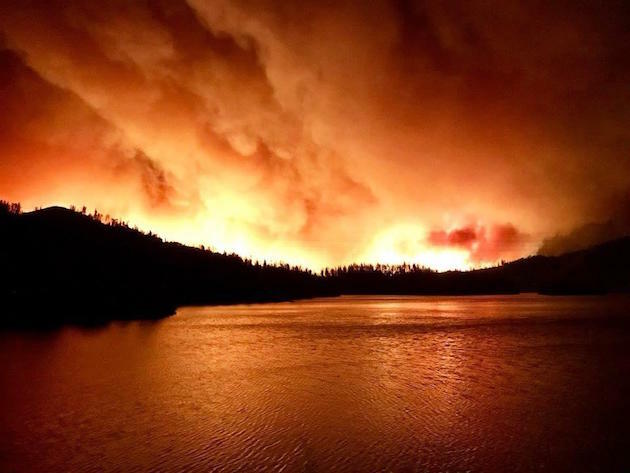 So far this year, CalFire has responded to 3,981 fires which have destroyed 629,531 acres. Nearly three times the acreage burned in the same timeframe last year. There is no doubt, the emerging influences of climate change are now resulting in longer burning seasons and a greater land base that is susceptible to wildfire. Here are some facts about climate change. Excellent post and photos, Larry. Thanks for adding context to this ongoing disaster. Thanks Mike. As of today there are two new fires in the area. That wildfire in California, though. Disastrous. Sarah Palin Secretary of Energy or the Interior?